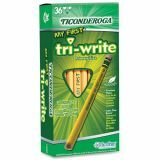 Ticonderoga My First Tri-Write #2 Wood Pencils - Triangular shape is ergonomically designed for comfort. 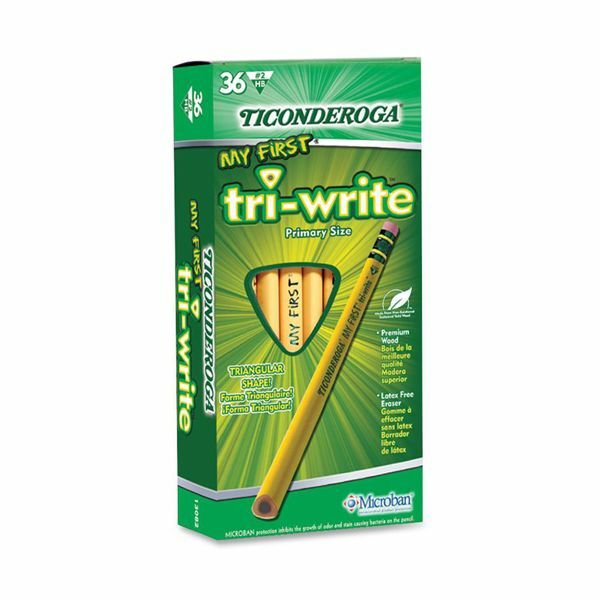 Graphite core provides extra smooth writing performance. Top quality eraser provides clean, smudge-free corrections. 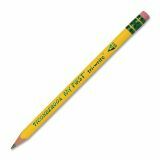 Available with latex-free eraser or without eraser. PMA certified nontoxic.